At the dawn of the twenty-first century, Abraham Moon and Sons had weathered a near endless series of challenges over the 150 years of its existence but one problem wouldn’t go away. The demand for their classic tweeds was strong and kept the mill humming for part of the year, but the growing consumer preference for more casual apparel meant that tweed clothing had gone out of fashion for year-round wear. The mill received few orders for apparel fabrics from August through December for the upcoming spring and summer selling seasons. Keeping the mill operating productively for these months was a problem. The idea to increase apparel sales when consumers were moving in another direction did not appear to be a solution. 8.12 The mill’s Sales and Design Showroom Suite, opened in 2015. Courtesy of Abraham Moon and Sons. Led by John Walsh, the fourth generation of Walshes to operate Abraham Moon since 1920, the firm embraced two strategies to combat the “seasonality problem.” The first was a diversification into accessories. Having already established a brand based on high-quality classic British heritage cloth for apparel, Abraham Moon decided to bring that expertise into the accessories market for scarves, throws, pillows, and similar products. This move led them into the tourist market, emphasising the company’s identity as a British heritage brand and reinforcing the concepts of quality and “Britishness” already associated with the company. 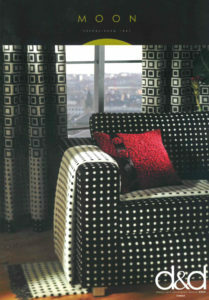 The company’s move into furnishing fabrics was driven by a similar motive. Targeting consumers with tastes for either urban or country styles, the company produced upholstery and other fabrics for interior design based on a sophisticated British heritage concept. 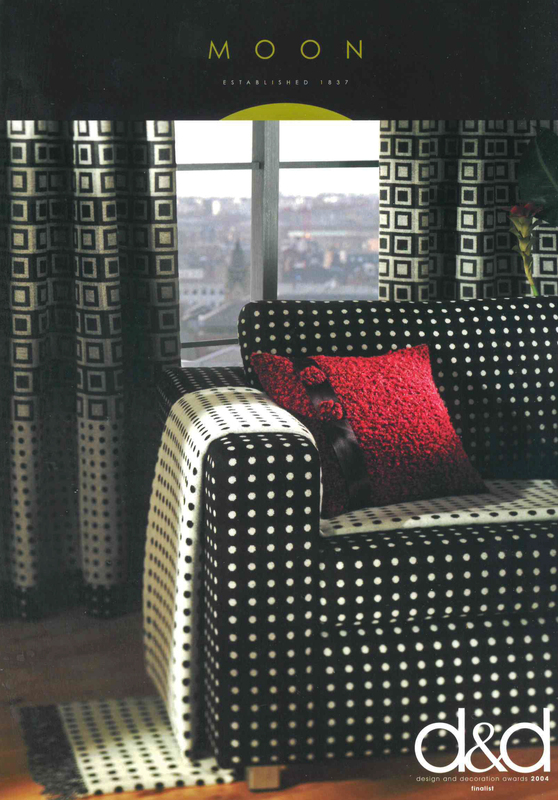 8.8 Urban furnishing fabrics were introduced at Heimtextil, 2004, and this line became a finalist the UK’s Design and Decoration Awards in the same year. Courtesy of Abraham Moon and Sons. The idea caught on, eventually accounting for 25 percent of Abraham Moon’s sales. More critically, perhaps, the furnishings business (like the accessories business) was not as seasonal as the apparel business. The apparel slow season could be used for the production of accessories and furnishing fabrics, keeping the mill operating effectively year-round with solid product lines. Although diverse, these three different lines complemented each other nicely. 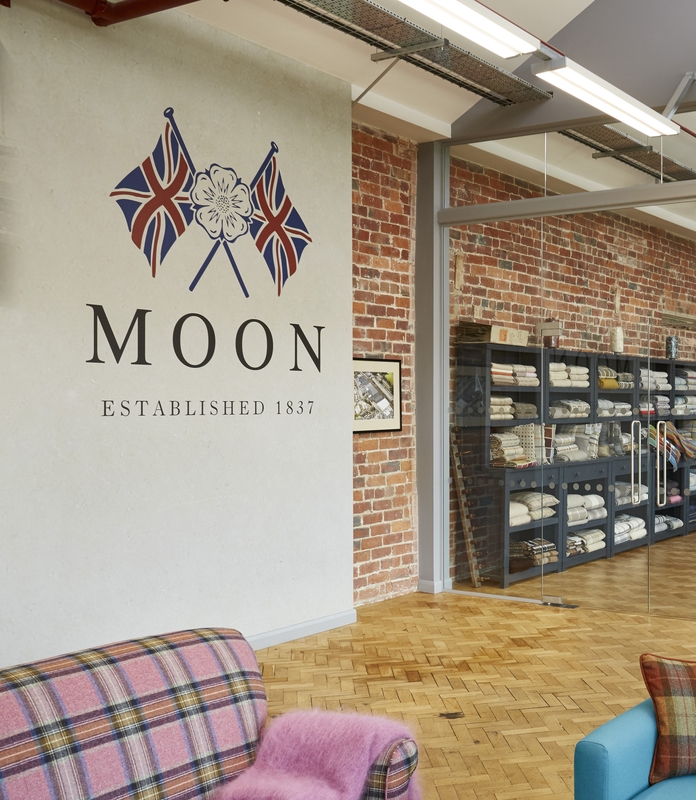 All three reinforced the idea that Abraham Moon, a firm that could trace its origins back to 1837, was a source for high-quality British heritage in wool fabrics. The Abraham Moon brand evoked British luxury in tweed jackets, sofa upholstery, and scarves for markets as diverse as New York, London, Paris and Tokyo. In many respects, this tripartite strategy, which folds household accessories into the product portfolio, is a modern reinterpretation of Victorian middle-class culture, which placed equal emphasis on apparel and the home as key elements in the consumer identity kit. 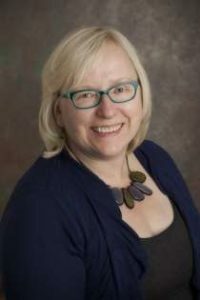 To mark the end of this riveting series of blogs by Professor Regina Lee Blaszczyk, and as a special Christmas gift from MUP, we’re offering readers a 25% discount when purchasing Fashionability. Simply add OTH781 at the checkout to receive your discount. Happy Christmas from everyone at MUP! Category: Blog, Fashion, material culture	0 Comments.